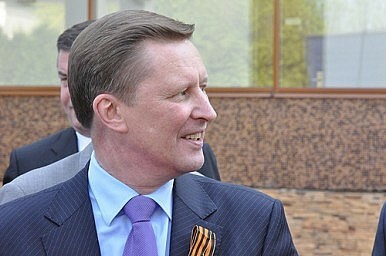 Russian Deputy PM Sergei Ivanov talks counter-insurgency at the Shangri-la Dialogue. The last plenary sessions at the Shangri-la Dialogue are under way, with Russian Deputy Prime Minister Sergei Ivanov just starting his speech. He's speaking on the subject of counter-insurgency and strengthening governance (presumably the emphasis will be on the former). There's some excitement among the hosts, the International Institute for Strategic Studies, that Ivanov is attending as senior Russian officials have apparently previously been absent from the Dialogue. I asked a senior IISS fellow why he thought this had been the case, and he suggested that Russia had likely become concerned that it was starting to look parochial. Russia still sees itself as a significant power, and with the global centre of strategic gravity shifting toward Asia, Russia can't afford to ignore (or be seen to ignore) what's going on in the Asia-Pacific. A change of tone in Ivanov's voice right now – he goes off script with his speech to sound quite pained when having to point out the difficulties some peacekeeping missions have with their lack of military expertise, and he calls on the UN to improve its military expertise. Some at the United Nations might baulk at the implication, but he's right – peacekeeping sometimes involves peace enforcement. However, he may be about to lose some sympathy with his decision to raise the conflict with Georgia, again laying blame clearly on Georgia for its 'invasion of South Ossetia'. He states that 'to prevent future conflict, Russia has recognized the independence of Abkhazia and South Ossetia', and he again goes off-script to emphasize the decision is 'irrevocable'. Ivanov is concluding his speech with comments on the Afghan war, stating that there were almost no drugs produced in Afghanistan during the Soviet military 'presence' in the country, arguing that this was because the Soviet Union paid 'major' attention' to the social and economic needs of Afghans (a Googling of the drug situation during this period will suggest that this claim is something of a stretch, though this is in part because of the CIA's alleged covert operations in the country at the time, when the US-supported mujahedeen being financed through the opium trade).